The ever-evolving history of MMORPGs is a fascinating one. Sometimes I almost feel like MMOs are more fun to analyze than they are to play. It’s a complex story that could fill volumes, but for today, let’s just take a look at some of the biggest turning points in the history of MMOs. The true origin of the MMO genre is debatable. You could trace it all the way back to analogue tabletop RPGs, and perhaps even farther back from there. But the birth of online RPGs likely lies with the Multi-User Dungeon, or MUD. MUDs were text-based games originally running over small, pre-Internet networks such as those at universities.The term was christened by Roy Trubshaw, a student at the University of Essex. Development of his “Multi-User Dungeon” game was later given over to Richard Bartle, and if you’re active in the MMO community, you’re sure to recognize that name. 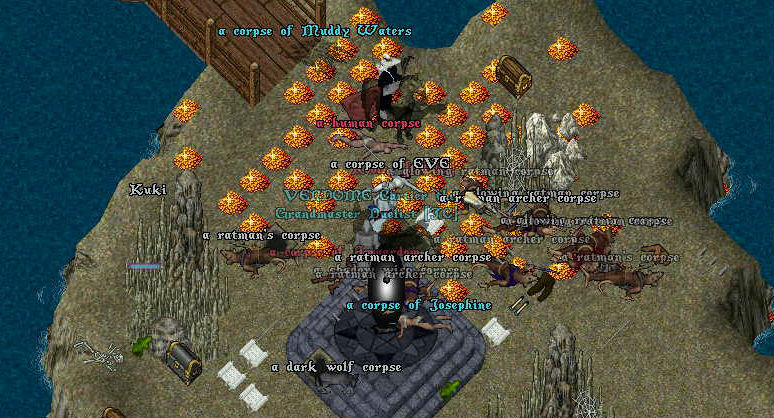 When the Internet began to spread, MUDs became more accessible, and eventually served as the inspiration for the first generation of MMORPGs. This was soon followed by many other graphical MMOs. The most famous would probably be 1999’s EverQuest, which served as an inspiration for many of the games the followed. 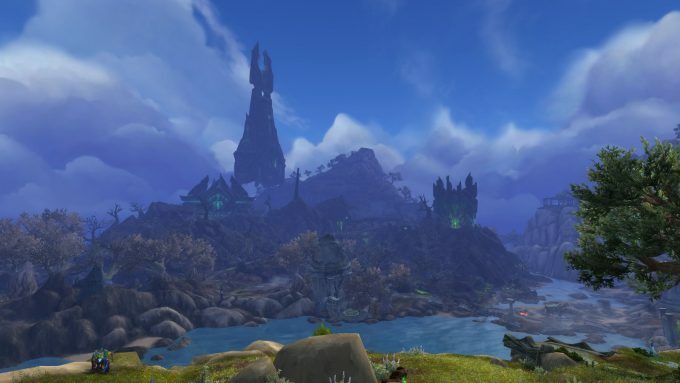 There is an eternally raging debate over whether World of Warcraft is the best or the worst thing (or perhaps both) that ever happened to the MMO genre. The one thing everyone can agree on is that WoW changed everything. 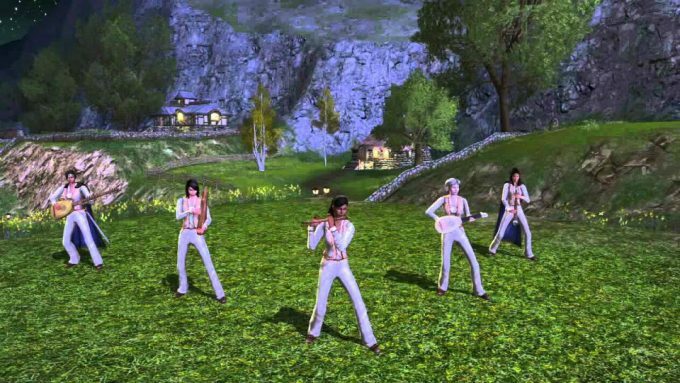 In the early days, MMOs had achieved a respectable level of success, with playerbases measured in the thousands. But WoW blew all that out of the water. It parlayed the brand recognition of Blizzard Entertainment, more accessible mechanics, reduced grind, and the increasing prevalence of high speed Internet connections into a perfect recipe for success, achieving a previously unimaginable level of popularity. WoW eventually peaked at around twelve million players worldwide, a population greater than that of some nations. While it’s popularity has shrunken significantly since then, even now it remains more successful and more populous than the large majority of its competition. 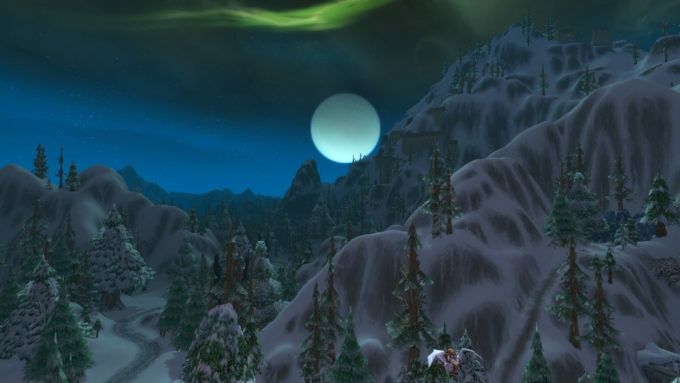 The success of WoW created ripple effects throughout the genre. Everyone wanted a bite of that pie, and developers spent years churning out MMO after MMO that sought to emulate World of Warcraft. It was the era of the dreaded WoW clone. But these games often lacked personality, and none of them ever rose to rival the success of the game they so desperately sought to imitate. For a long time, if you wanted to play an MMORPG, you had to pay a monthly subscription. That’s just how it worked. Oh, sure, there were a few exceptions. Anarchy Online began offering a free to play option back in 2004, and the original Guild Wars was buy to play from its launch in 2005. But those were mostly considered oddball outliers. Things began to change in a big way when Dungeons and Dragons Online relaunched as a free to play title in 2009. Previously struggling, it saw a huge uptick in both players and revenues, and the world began to take notice. 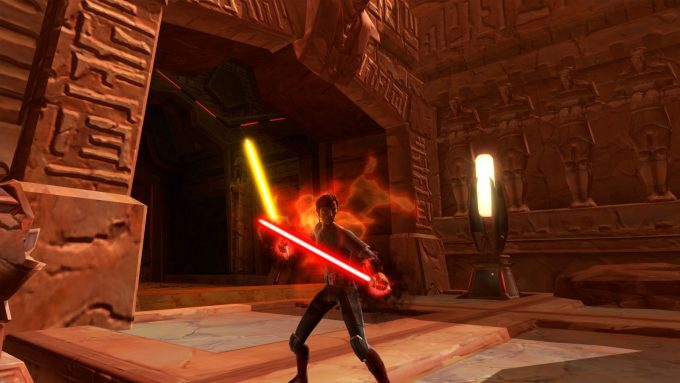 Before long, big name MMOs were dropping their subscriptions left, right, and center, from Star Wars: The Old Republic, to Lord of the Rings Online, to Aion. At first this was seen as an act of desperation made only by dying games, but as the years went by and subscription games became an ever shrinking minority, it started to just be normal. Nowadays, subscriptions are the exception rather than the norm, and most new games are free to play or buy to play. That brings us to the modern day. 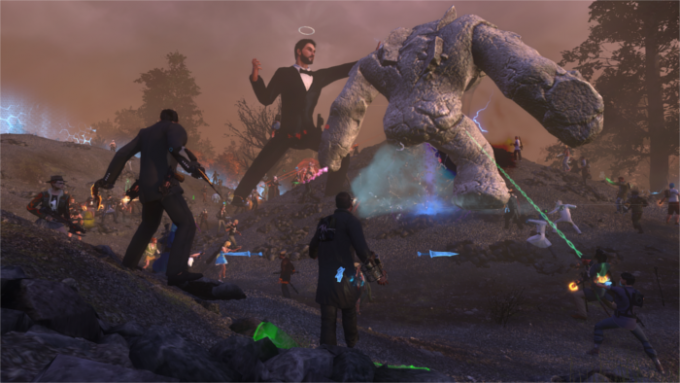 The MMO genre has matured and stabilized. New releases are not so common as they once were, but there is more variety, more creativity. 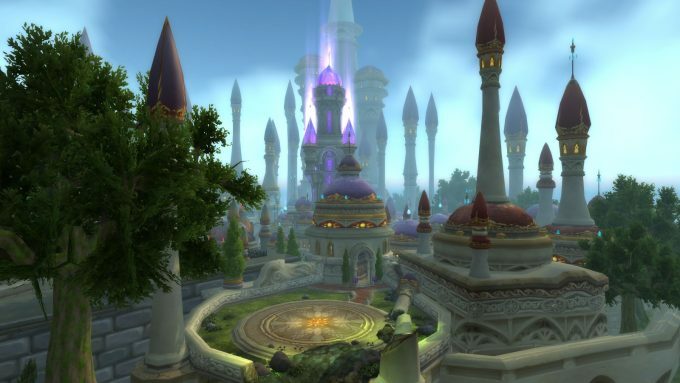 Gone are the days of WoW clones. Nowadays MMOs, MMO lite games, online co-ops, MOBAs, and battle royales all simmer together into a diverse melting pot. In this writer’s opinion, the future is bright. 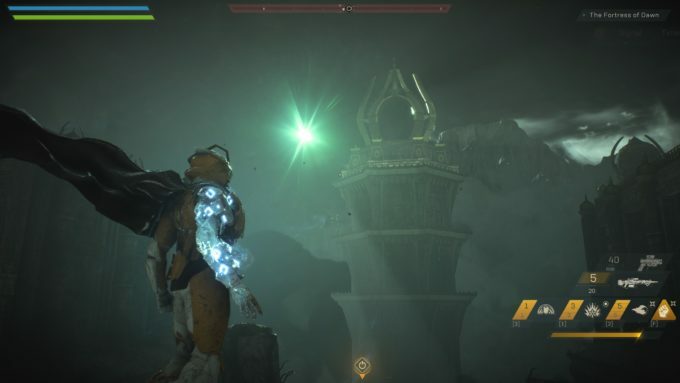 This entry was posted in General MMOs, MMO Retrospective, Multiplayer Games, State of MMOs and tagged Aion, Anarchy Online, Dungeons and Dragons Online, EverQuest, Guild Wars, Lord of the Rings Online, MUD, Star Wars: The Old Republic, Ultima Online, World of Warcraft on April 16, 2019 by Tyler Bro. Some things just never get old. No matter how old we get, no matter how jaded we become, there are some things in life that will never fail to bring a smile to our faces. As it is in life, so it is in MMORPGs. If you play such games long enough, it’s easy to become bored of their standard tropes and numb to things you once enjoyed… but there are some things whose appeal is ageless. Some things just never lose their thrill, no matter how many times you experience them. This list might be a bit different for different people, but to me, the following are those moments in MMOs that I will never tire of. 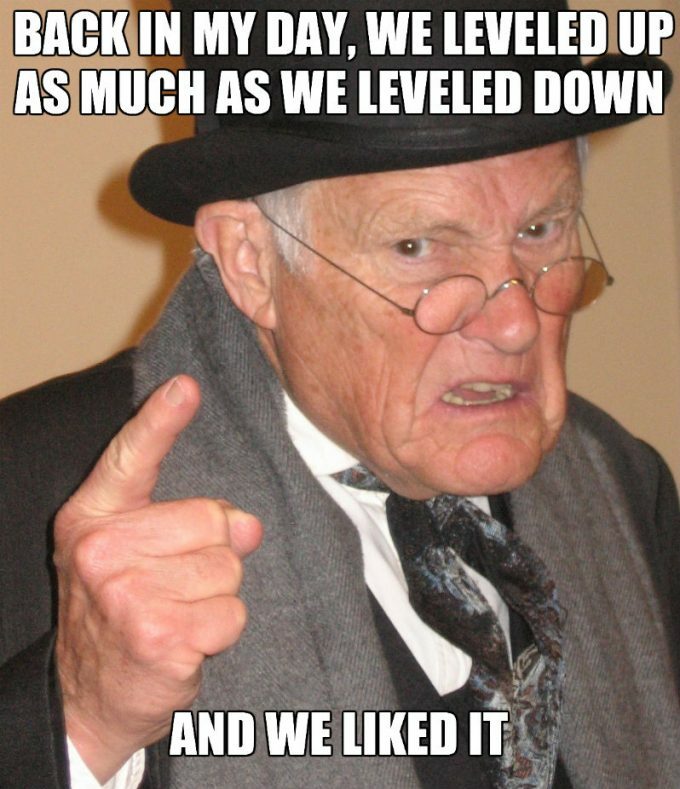 I’ve been playing MMOs for close to ten years now. In that time, I’ve become jaded to almost everything this genre has to offer. That’s not to say that I don’t have fun anymore, but it’s very hard to wow me these days. But if there’s one thing that always makes me catch my breath in wonder — even now — it’s that moment when you first set foot into a capitol city within an MMORPG. I’m not talking about mere towns or quest hubs. I’m talking about proper sprawling virtual cities. Your Stormwinds, your Elden Roots, your Pandemoniums. Places whose streets are choked by NPCs and players alike, where your chat window blows up and your screenshot key gets a workout. Whenever I enter a new in-game city for the first time, I invariably wind up losing at least an hour or two as I walk down every street, investigate every nook and cranny, and talk to every NPC. A good virtual city is almost as full of color, flavor, and character as a real city, and I make it my mission to soak it all in. 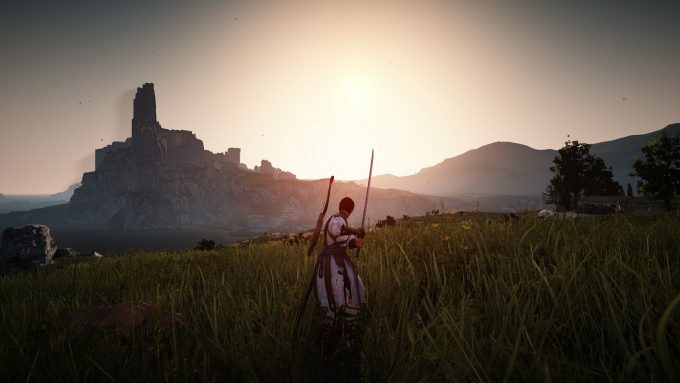 Growing up in the world of DOS and pixel graphics, it never ceases to amaze me that video games can now produce environments as big and beautiful as MMO cities. I am an unabashed and unapologetic altoholic. 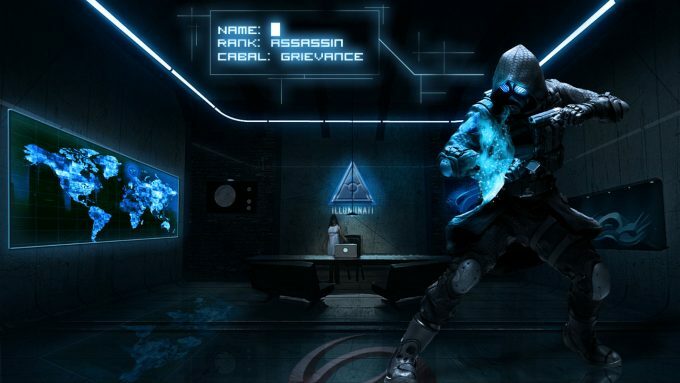 In The Secret World — a game that provided no good reason to ever play alts — I had five characters. In other games, my character select screen gets even more bloated. I just can’t seem to stop making new ones. And I think at least part of the reason for this is that there’s something strangely addictive about creating a new character. Every time I start building a new avatar, my mind fills with the infinite possibilities of the adventures I might one day have with them. Each new character promises new experiences and new memories to be made. For role-players, creating a new character is especially exciting, because it’s also an opportunity to forge a new backstory. Character creation almost becomes a form of story-telling unto itself, as you spin yourself the tale of this new avatar. 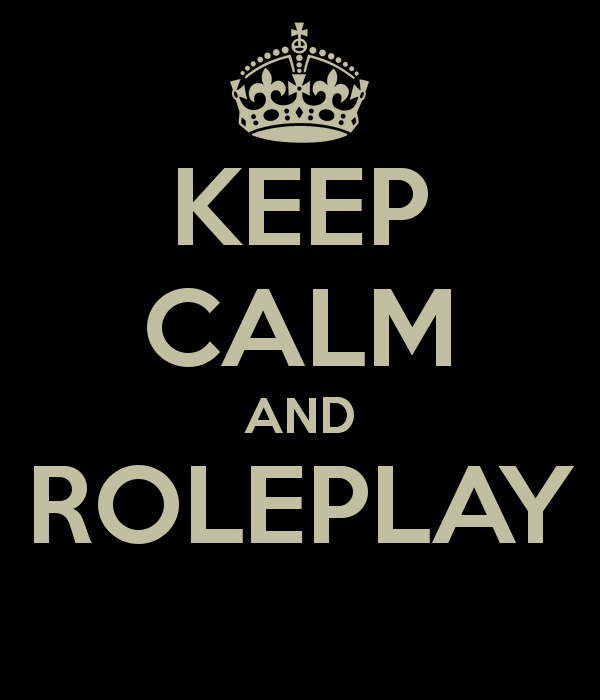 But even if you’re not into role-play, creating a new character can still be addictively alluring. 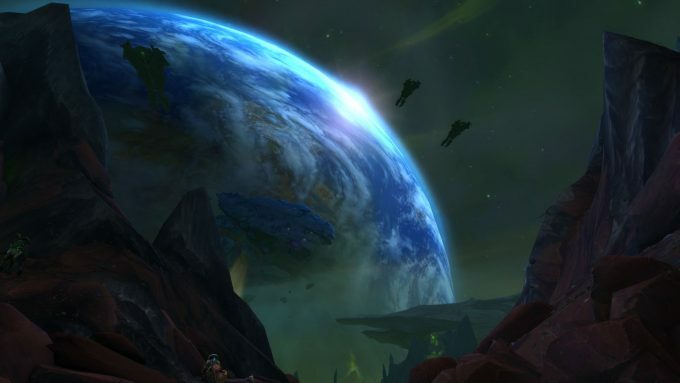 Trying a new race, class, or faction lets you experience an old game in a new way. You can recapture the excitement you felt when you first started playing, if only for a time. It’s a way to keep things fresh almost indefinitely. If there’s one trump card the MMO genre will always have over single-player games, it’s in-game events. Not just the generic, canned holiday events every MMO trots out. Those tend to be pretty lame. I’m talking about the big, epic events that only come around once. 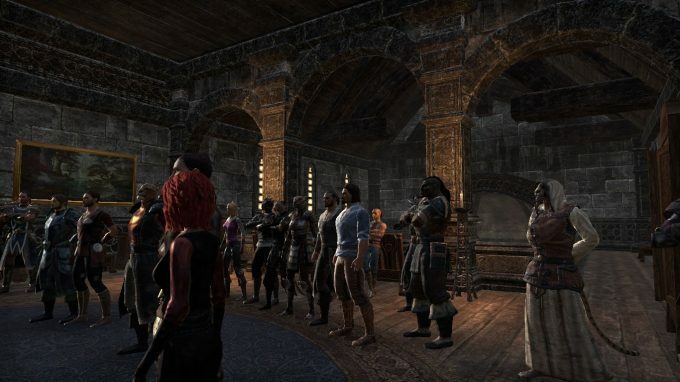 Events that change the game, or bring the community together in a unique way. 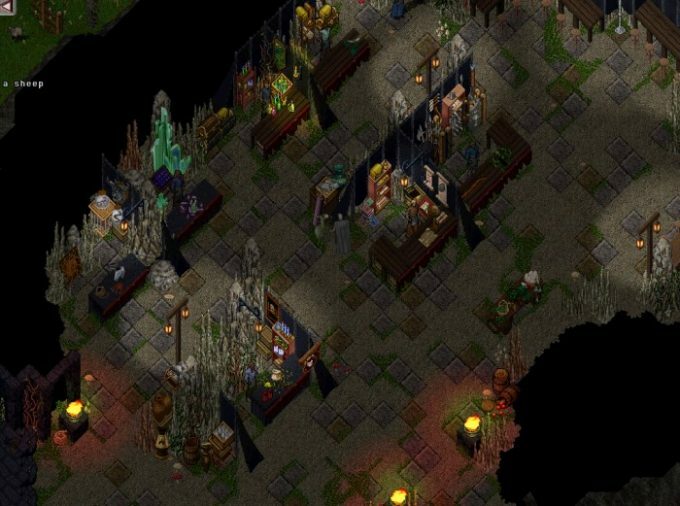 In the old days, in games like Ultima Online or Asheron’s Call, it was common for game-masters to take on the roles of NPCs and play out major story events with the community. Nowadays that’s much rarer, but live events have not entirely vanished. Guild Wars 2 has made in-game events a major selling feature of the game, with somewhat mixed results, and World of Warcraft has its pre-expansion events, as well as other occasional one-time story events. There’s just something uniquely thrilling about major in-game events. They bring the community together, forging bonds and memories that will last a lifetime, and they transform simple games into evolving virtual worlds that almost feel like real places. These days I find the best way to recapture the feeling of excitement I felt on Christmas morning as a kid is to keep an eye on MMO expansion announcements. Content patches aren’t the same. They might be exciting for avid players of a game, but expansions are a good way to attract the attention of the entire MMO community. An expansion — a true expansion — isn’t just a content update. It alters and enhances the way a game is played forever. Expansions are literal game-changers. And that is exciting in a way little else in the gaming world can be. 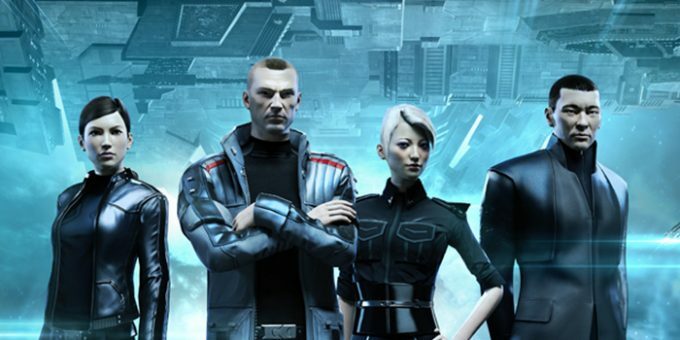 A good expansion can bring in a total renaissance for an MMORPG. 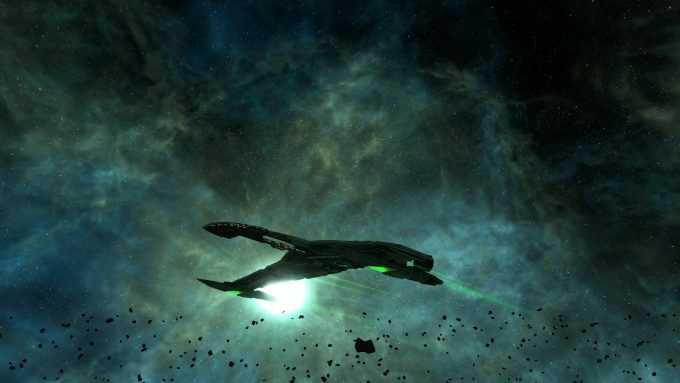 Legacy of Romulus got me to give Star Trek: Online a second chance after writing it off entirely. 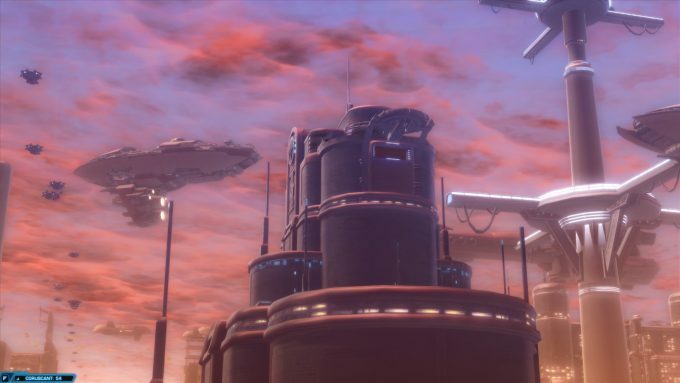 Knights of the Fallen Empire changed me from someone who didn’t care about SWTOR at all to someone with all eight class stories completed. And so for this reason I continue to follow expansion announcements with anticipation, even for games I don’t play. Expansions can change everything, and that never stops being intriguing. MMOs are a social medium, and oftentimes the best experiences they offer are the bonds we form with other players. For me, there are few things as satisfying as simply doing something to put a smile on another player’s face. Of course, lots of people may think of major accomplishments they helped their guild achieve, or assistance they’ve provided to long-time friends, and those are very good things, but I think there’s something very special about offering random help to strangers. 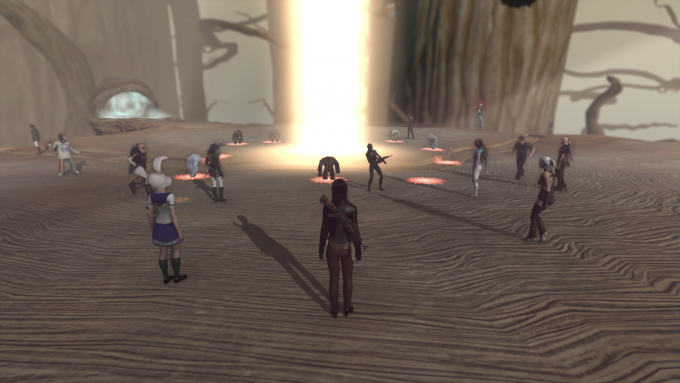 Back in TSW’s heyday, I used to use the cash shop currency stipend from my lifetime subscription to buy the event bags that granted loot to everyone around me. During one such bag-opening, someone on their free trial got the Revenant Polar Bear, a rare pet that was one of the most coveted rewards from that event. It honestly made me far happier than if I had gotten the pet myself, and I like to think it helped give that person a positive impression of the game. It’s memories like that that stick with you. Good feelings like that are timeless. This entry was posted in General MMOs, MMO Opinions, Top X Lists and tagged Aion, Asheron's Call, Elder Scrolls Online, Guild Wars 2, Star Trek: Online, Star Wars: The Old Republic, Ultima Online, World of Warcraft on June 27, 2018 by Tyler Bro. Does RMT Have a Place in MMOs? RMT. Real money trading. The nasty three letter acronym associated with gold farming, pay to win, and bots. 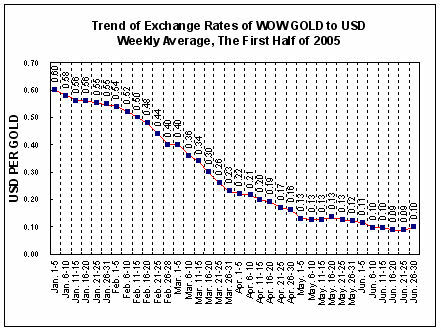 It’s existed in MMOs for the better part of two decades, back when Ultima Online gold traded at higher exchange rates (200 gold to $1 USD) than the Italian Lira, Hungarian Forint, Indonesian Rupiah, Vietnamese Dong, Colombian Peso, and several other real world countries (250 to 14,000 units to $1 USD). This was in era where all real money trading took place on eBay (sometimes facilitated by company employees), before more specialized shops opened their doors. People will kill to become a Colombian millionaire. Eventually, massive inflation sets in because wolves somehow drop coins and MMORPG NPCs print money on demand to buy player trash. Money sinks like repair costs and auction house taxes never offset the constant printing of game currency. Even the loss of capital when ships blow up on Eve Online can’t compete with the universe’s infinite resources. The effects of MMO currency inflation on RMT is as multifaceted as it is unclear. The obvious impact is the increased cost of goods. This drives players with more real world money, less time, or both, to seek out-of-game methods to acquire in game currency. And where there is demand, there is supply. MMO RMT carries a host of problems. The chief issue being the devaluation of the most active players’ time. What’s the point of grinding for hours on end when top gear can be purchased for a day’s paycheck? Diminishing the reasons to actually play the MMO is a major negative for anti-RMT folks. At some point it’s too lucrative of a money making proposition to pass up. In 2005, over 100,000 people in China reported working as full time gold farmers (“gold” acting as a moniker for all virtual MMO currency). These “players” contribute nothing meaningful to the game, mindlessly killing creatures for loot. At it’s worst, gold farming creates violations of human rights. To increase efficiency, gold sellers use bots to generate even more gold. This unnatural crowding of high end areas pushes real players out. Even if players can avoid the bot infestation, constant channel spam for “BUY GOLD $5=5000G WWW.CASH4GOLDMMOSTYLEYO.COM” ruins actual human communication. People need to be able to gripe publicly without fear of the bot takeover. The effect of the supply side absolutely damages the average player’s experience. That doesn’t even take into account the ethics of gold buying. MMORPGs are first and foremost games. It’s even part of the acronym! Real money trading is essentially cheating. Imagine playing a board game with friends. You offer to take another player out for the price of $5. They accept and cruise to victory. What’s the point in playing when money will decide the outcome? More topically now that the NFL season has begun, imagine paying $5 to a fantasy football leaguemate for Antonio Brown. That’s a big change that affects the fair competition of the entire league. 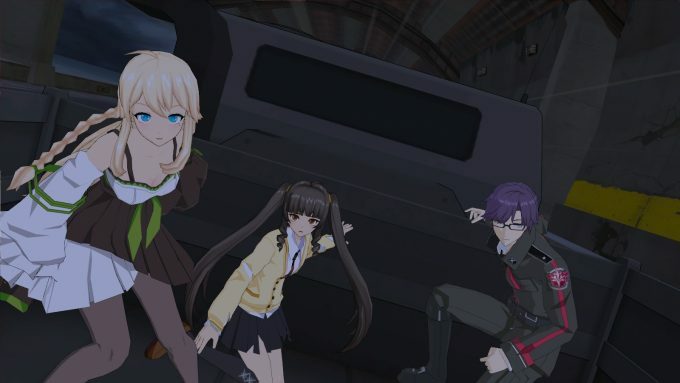 At the same time, these examples ignore a major difference between MMORPGs and other games. MMORPGs are also virtual worlds with real economies and thus, inherently valuable currency. In the cheating examples, the time commitment for those games is significantly less than in top MMOs. You also play to win, which is rarely part of MMORPGs, despite the oft-used “pay to win” label. Competition of a sort still exists, but ultimately time dictates who sees the greatest success. When top guilds in World of Warcraft spend a full time job’s worth of hours raiding, it’s pretty obvious that not everyone can compete. Here, money is the great equalizer. After all, time = money. Does that justify real money trading? I think it’s at least a fair argument. As evidenced by just how many RMT stores exist, a significant number of players obviously agree. It may not be fair that players can use real money to purchase virtual goods. It’s also not fair that players have more time than others. This is what happens when progression is based on primarily on time rather than skill. Players don’t really improve at MMORPGs, they just dedicate more time. The only way to advance is to play more, and that’s simply not an option for many people. How else can these individuals keep up with top players except to turn to RMT? Admittedly, some are also the cheater types who will do anything to get an unfair edge. They’re not looking to just level the playing field, but to beat out everyone else at whatever cost. RMT doesn’t change that. There’s always hacks, exploits, and bots for cheating. Let’s take away the negative indirect affects of RMT: gold farming, chat spamming, increased customer service expenses, and bots. If we could do away with those, is the time = money defense a good enough reason to support RMT? I can see both sides. It is cheating, but it’s not like all players are playing by the same rules anyway. Putting more time into an MMORPG is like getting more moves in a board game. I think it’s up to MMORPG developers to design a game that limits the appeal and usage of RMT. Even though World of Warcraft is rampant with gold sellers, I feel it’s designed well enough to limit RMT. The best gear must be earned in challenging raid environments and cannot be traded. The items people can buy with gold minimally impact other players. I’m not going to fault someone for spending $10 to buy a mount instead of hours of mindless grinding. Guild Wars 2 launched with the mantra end game gear should be easily attainable. 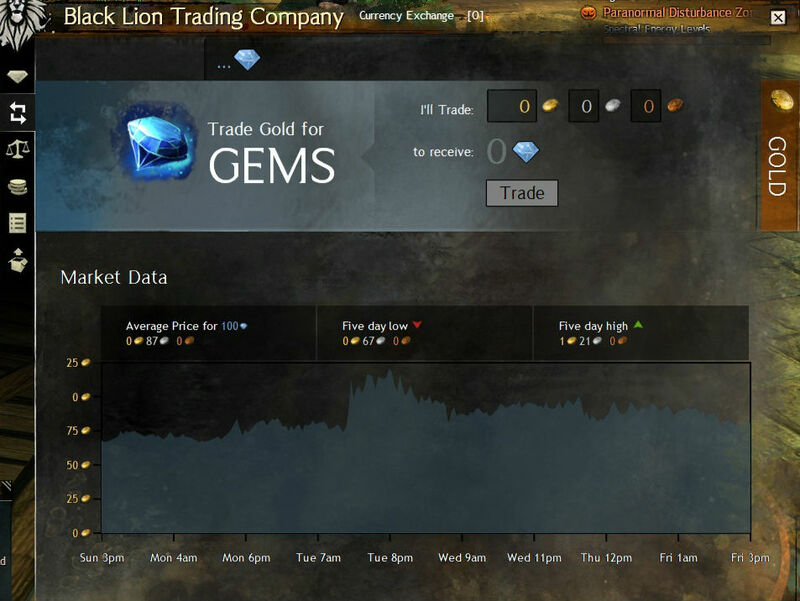 Real money trading mainly leads to cosmetics in Guild Wars 2. I’m good with that. They also implemented their own developer-run RMT shop, which drastically cuts down on RMT’s outright negative ramifications. Horizontal progression may lessen the need for RMT given that there’s little to vertically separate players. Virtual currency will always have real world value. MMORPGs will always require time to advance. Real money trading will always exist because of these perpetuities. I do not dislike RMT inherently, but don’t enjoy the environment it creates. I doubt even active real money traders do. Still, I think it has a place to eliminate tediousness. It just takes foresight to build an MMORPG with RMT and it’s effects in mind. After all, we’ve come a long way from buying gold in Ultima Online. 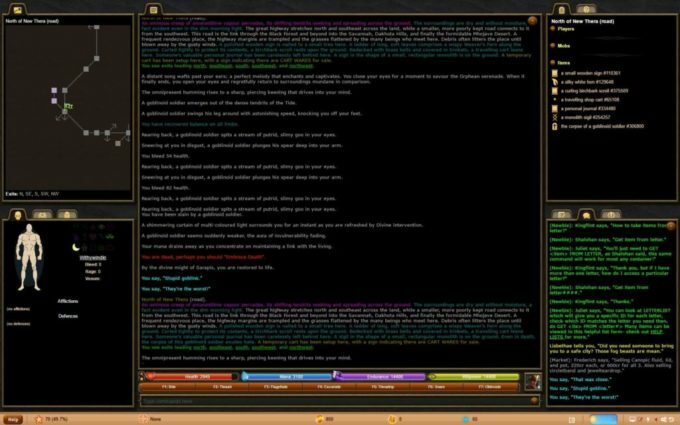 This entry was posted in MMO Game Design, MMO Opinions, Pay to Win, State of MMOs and tagged Guild Wars 2, Ultima Online, World of Warcraft on September 27, 2016 by The Bro.